1. Come to the Scriptures prayerfully. 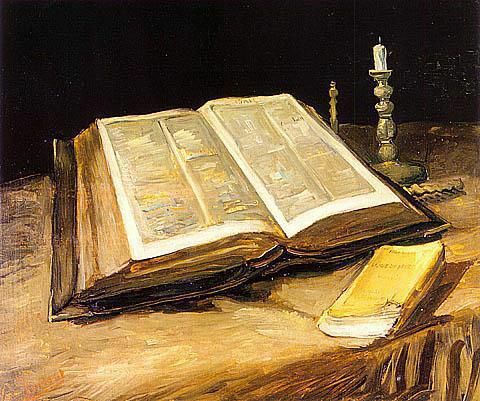 Most of the great Bible interpreters were guided by prayer in their studies. The necessity of the involvement of the Holy Spirit is vital! 2. In my own case, I read the Bible right through – cover to cover – 3 or 4 times right at the start of my Bible study life. Try to do this at least once. In doing so you will get a great overview of the Bible’s overall teaching. You will get a correct perspective. 3. Allow Scripture to interpret itself and refuse to be clouded by personal doctrinal presuppositions or preferences. This really sets the great Bible expositors apart from those who refuse to depart from their own denomination’s guidelines. 5. Pay as much attention to the original Hebrew and Greek as your learning will allow you. (For those without language training, an interlinear Bible can be very helpful as can be a Bible dictionary). 6. Never use one of the paraphrased (very loose) translations to establish doctrine! The NKJV and NIV are very sound primary study translations, but the more paraphrased versions, such as the NLT, have a place in more devotional reading. 7. Establish the Major Doctrines (teachings) of Christianity! Those who do this are less likely to ever fall away or fall into the hands of false teachers. The teaching on Justification (how we can be made ‘right’ with God), the deity of Christ, the work of the Holy Spirit, forgiveness and resurrection; these are major areas of Christian teaching. On this topic, note the links which may be found lower on this page. 8. If you are an absolute novice (quite new in the Faith), don’t try to tackle deeper theology before you attain some basic knowledge; I find that many make this mistake and just become very confused, then they often accuse the article writer of being ‘confusing’ – but, so often, the problem is that they are just not used to the discipline of theology! Being a good, clear logical thinker is essential for the disciplines of apologetics and theology. But don’t attempt to run before you can walk! 9. Always take into account the full context of the passage. Read verses in the context of the whole passage, the chapter and even the book. And, of course, always keep in mind the larger context of the New Testament or Old Testament. 10. The Bible is progressive revelation. This means that, generally speaking, the New Testament specifically interprets the Old Testament. Don’t forget that the Old Testament can be called ‘The Book of the Old Covenant’, but Jesus inaugurated the ‘New Covenant’ – it doesn’t mean that the Old Testament can’t teach us anything – it has many lessons for us – but that one should never, ever, use a vague or cloudy verse in Leviticus to overthrow a clear statement of Jesus or Paul. This has been a major error of the cults and sects! This can be very well demonstrated in our attitude to the Sabbath. Various seventh day groups will ask, ‘Which day is the Christian Sabbath?’ – but even in asking that particular question they are revealing very flawed biblical exegesis; they are taking a topic of Old Testament importance (the Sabbath), and imposing an equal New Testament concern for the subject (which, truthfully, does not exist), by employing the word, ‘Christian’ – a far better question would be‘What did Jesus show us about the real meaning of the Sabbath?’ (Matthew 11:28-30, Mark 2:23-28). 11. Always consider all the passages dealing with any particular topic. For instance, don’t try to understand faith by only looking at a few more sensational ‘faith verses’ (as the Word-faith people like to do), but get a thorough grounding in what the whole Bible says about faith. A Bible concordance will prove essential here. 12. Always interpret the more difficult or unclear passages by the clear ones – never the other way around! A favourite device of the cults is to choose a difficult passage and build their unique doctrines upon it without ever considering the broader sweep of bibical teaching. 13. Always take into account the different genres of writing within the Bible – here again, the cults and sects have regularly stumbled! The Bible contains different forms of writing; there is history, proverb, parable, apocalyptic, letters (epistles), Old Testament prophecy, genealogies and other elements too. We must respect what these different forms of writing set out to achieve! Sometimes the cults could not find some detail they were looking for within prophecy, so went looking for it in other biblical genres which are unconcerned with prophecy! This would be somewhat similar to reading the main news in a newspaper, perhaps an article about President Bush or Tony Blair, finding a vital detail had been left out, so going looking for that detail in the newspaper’s ‘gardening section,’ or ‘sports section’ or ‘television programmes section’ – plainly quite daft!! The founders of the cults and sects were unabashed about abusing the Scriptures in this way, mainly because of their lack of knowledge, but we can learn from their shortcomings! 14. Beware of novel, new, or unusual interpretations, always check various conservative commentaries on the passage. There is really very little that is new under the sun, as the saying goes, ‘The gospel is the gospel is the gospel!’ Many of the heresies of the cults have been dealt with thoroughly in various well-authenticated works. It is also interesting to note that even though there are many Christian denominations, their opinions never differ very greatly on the essential doctrines! There is solid agreement on the pivotal doctrines of the Christian Faith. Don’t allow some new idea (such as the ‘health, wealth and prosperity gospel,’ which is a ‘new kid on the block’), to divert you from established Christian teaching. This entry was posted in Bible Reference Notes, Encouragement, Expository Moments, Theology and tagged Bible, Hermeneutics. Bookmark the permalink. ← How Badly Do We Want Revival? You simply have to do #2 in this list. There is no way around it, no short cut. Otherwise, the whole list falls apart. Look at #3, allow Scripture to interpret itself. You can’t do this if you haven’t actually read the rest of Scripture to know what it says. #4, if you don’t understand it in the context of all of Scripture you won’t be able to rightly answer, “What does it really mean?” So you have to have read the Scriptures. #7, if you haven’t read the entire Scriptures you aren’t going to really have the major doctrines right. Sorry. You’ll have read a few proof texts but you won’t have the flow of God’s revelation on those doctrines. God didn’t give you a theology textbook with a series of proof texts, He gave you a Book. Read it! #9, you won’t have the full context if you don’t know the place of this particular book in the Book as a whole, how it fits. So you need to read the whole Book. #10, you can’t really understand progressive revelation if you haven’t read what was revealed. Do I even need to say this? #12, if you haven’t read the whole Bible you won’t even know which are the clear passages that speak to a topic. There are 1189 chapters in the Bible. Seven chapters a day will take you through it twice in a year, with room to spare. Ten chapters a day will take you through it three times in a year. Simply take half an hour a day out of your telly time and start reading. You’ll never regret it. You might even find you want more time, and you’ll turn off the TV for another half hour. And you’ll actually begin to understand the Bible a lot more than you ever did. If someone wanted to understand Shakespeare, but they decided to learn it by reading books about him and excerpts from his plays, but never actually read any of his plays in entirety, we’d say that’s stupid. If someone tried to teach Shakespeare without reading all his plays multiple times to get the flow of them, we’d say that person is defrauding his students. But people try to understand the Bible, and even TEACH it, without reading it regularly and completely. Incredible. If you find a verse that contains the word “know”, you should know that the verse contains something you need to know. Gosh, you mean that fella in Houston that waves the Bible as if it were a magic wand, while he leads his goats in a chant, never teaching what’s in the Scriptures, is not doing things right? Thanks to both ya’ll for stopping by and commenting! Manfred, I suspect I know who you are talking about, though I don’t track these things much, but whoever, he is probably accomplishing exactly what he wants to accomplish. I could not agree more with such excellent golden rules. There are other modern trends to avoid. I have noticed that BSF and others like to ask touchy feely questions. ” How did that make Paul feel”? That is speculative and subjective psychobabble. It violates the afore mentioned list. It asks the us to go beyond what it is written. It puts personal subjective opinions on equal footing with what is written. The rules of Logic/ argumentation are also helpful to know. James Sires list of how all cults twist the scriptures is also very helpful. My wife quit BSF many years ago because they forbid the discussion of anyone’s “view” on a given passage. Blatant heresy was to be left unchallenged if someone honestly felt that what the text said. No commentaries were permitted and no interpretation of Scripture with Scripture – only the person talking and his or her opinion was valid. Manfred: Sounds like your wife’s BSF was run poorly. I’ve been part of it this year, at a men’s study, and we had many discussions about views and challenges and interpreting scripture with scripture. I don’t know if my group was an anomaly, your wife’s group was, or maybe they cleaned up their act between then and now. 072591 – Good to hear from you. I’ve not been to BSF, but the folks at the one my wife went to were adamant that no one’s views could be challenged, in any of the venues they sponsored. That was a decade ago. New age and Roman Catholic dogma was spouted and nobody allowed to challenge it. Let’s hope it’s improved. About BSF one must not argue from the specific to the general as did 07, as I call him. I would recommend that everyone involved with or wanting to be informed would do well to do some research. I suggest you start with the lighthouse blog and the sola sisters. There are numerous other sites that point out numerous problems with BSF..
Several sites have mentioned that this years BSF suggested reading list includes well known contemplative advocates. In conjunction they often use the message miss-translation which was written to promote the contemplative mystical madness. Again there are numerous reliable apologetic web sites that document this quite nicely. The best ones lay out side by side comparisons of the same passage with the NASV or the KJV. The Message repeatedly distorts the scriptures so badly it is utterly unrecognizable from superior translations. One cannot be all things to all denominations and at the same time boldly proclaim and defend the faith. Manfred, what you wrote is the coin of the BSF realm. they are more concerned with false ecumenicalism and with not be offensive to anyone than with the gospel which IS AN OFFENSE. Manfred you are more gracious than I on this matter. There is another problem the problem of authority. God the ultimate authority spoke to Moses. Moses the second in authority spoke to Aaron. Arron with no authority spoke for Moses to Pharaoh. Imagine a church where the pastors wife wrote every word of every sermon and had her stooge husband repeat her sermons word for word from the pulpit. She, like Moses, is the authority not her sock puppet husband. BSF is run by women who write all of the bible lessons irrespective of who leads be they men or women. Even the men only regurgitate some women’s written study lesson. These men who teach and are taught are therefore under a woman’s authority subject to women who are in authority over the national BSF organization. Thus the touchy feely questions and the rules against challenging anyone’s views. I am going out on a limb here but I doubt that BSF would get Paul’s endorsement. Hi there, I’ve just translated these principles into French and sent them to many friends in France. Some may question, others may add, but the core remains fundamental! I don’t know what folks think, but I’m in the process of writing a paper (in French) tracing the line from David’s kingdom to Christ’s kingdom. If only people would apply these principles, many problems concerning eschatology could be avoided. For example, how can commentaries on the Epistle to the Corinthians (ch.15) interpret the passage in the light of Revelation 20 (written 40 years later)? Pause for thought!! !